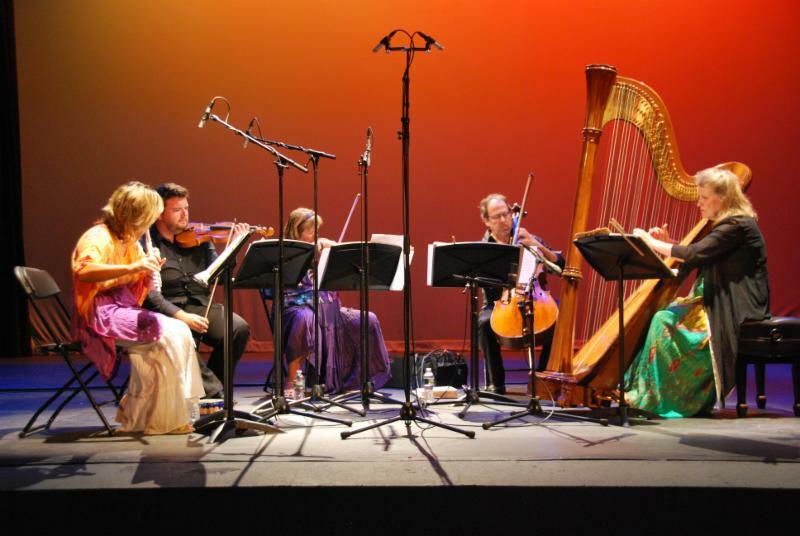 Canta Libre Chamber Ensemble will be in concert, performing A Heavenly Flight of the Autumn Sky, music for flute, clarinet, harp and strings this Saturday, September 22 at 6:00 PM, in a multi-media event at the Vanderbilt Museum’s Charles and Helen Reichert Planetarium, 180 Little Neck Road in Centerport, NY. Experience this acclaimed group of musicians performing contemporary American works as the planetarium gets utilized to its fullest potential. The dome will be filled with images of the stars, nebulae, galaxies and much more! The ensemble will feature music evoking all seasons of the year, highlighting Autumn specifically. The Fall night sky will be laid out in 360 degrees above the audience and the autumnal constellations will be brought into view. Repertoire for this special concert celebrating the Fall equinox will be new American works for seven players, including the World Premiere of Joel Lambdin’s Abstract No. 1 (composed to commemorate this special event), Joseph Russo’s Distant Light and Gary Schocker’s Cherry Blossoms, along with contemporary Canadian composer Marjan Mozetich’s Angels in Flight and Ravel’s Introduction and Allegro. Performers will be Canta Libre members Sally Shorrock, flute, Karen Lindquist, harp, Bradley Bosenbeck, violin, Veronica Salas, viola and Bernard Tamosaitis, cello, with special guests Janey Choi, violin and Alec Manasse, clarinet. Tickets for this concert are $20 on-line; $25 at the door; and $15 for children 15 and younger, available at https://47321.blackbaudhosting.com/47321/Canta-Libre-Concert. 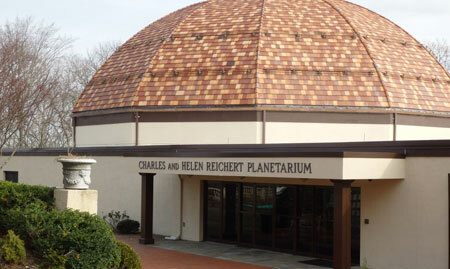 For more information and directions, call 631-854-5579 or visit https://www.vanderbiltmuseum.org/event/cantra-libre-chamber-ensemble-to-perform-in-planetarium/. 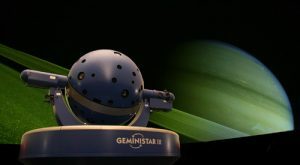 The 147-seat Planetarium’s 60-foot dome and advanced Konica Minolta projection system with full-dome video and surround-sound creates an exciting, immersive audience experience. Canta Libre was founded in 2002 by flutist Sally Shorrock to foster the performance and enjoyment of musical literature specifically written for flute, harp and strings. They have been acclaimed by audiences throughout the Northeast, with regular performances in Connecticut, Westchester and Long Island. They were featured at The American Harp Society 50th Anniversary National Conference, and have appeared at Lincoln Center, on WNYC at The Green Space, The Music Festival of the Hamptons, Barge Music, Concerts at One at Trinity Church in Manhattan, WLIW TV, National Public Radio of Long Island, and The Brooklyn Public Library. Trained at the finest conservatories, many of the members have performed and toured internationally with appearances at major festivals, including Aspen, Spoleto and Tanglewood. Their critically-acclaimed CD of music by Jean Francaix, Joseph Guy Ropartz, Jean Yves Daniel-Lesur and Maurice Ravel is available on the 4Tay label. Much more about them at http://www.cantalibre.org. For inquiries about Canta Libre Chamber Ensemble, please contact Jeffrey James Arts Consulting at 516-586-3433 or jamesarts@att.net. with any questions, comments and/or suggestions you may have. -------- Have a Wonderful Day! To hear samples of my music you may click here ----> Joe's Music. If you would like to hear complete versions of any of my music, or if you would like to acquire any of my music you may contact me by clicking on the words "email me" in my above Welcome. Four Pieces for Strings "Homage to Bach"
Gloria for Chorus & Chamber Orch. Kyrie for Chorus & Chamber Orch. Carol Burnett Show -- "The Recital"
Dancing Squirrels -- ready for the Nutcrackers? Opera Oggi NY--Opera Company--Thomas Lawrence Toscano, dir. COMPOSER: Joseph Russo studied with Robert Starer and Vincent Persichetti and other Juilliard professors, and with Luther Noss at Yale. He attended composition/ music theory classes at both schools. Russo has developed and continues to evolve a personal melodic and tonal style in his compositions. He has composed numerous chamber and orchestra works. EDUCATOR: Russo has taught string bass and piano privately for the last 25 years -- he teaches beginners to advanced students. DOUBLE BASSIST: Joseph Russo is an alumnus of Juilliard and Yale, studying with Homer Mensch. Russo Third Symphony World Premiere! Successful Canadian Premiere of Russo's "Mourning Mist"
New Duet for Guitar & Pipa -- "Polo Khan"
Mourning Mist reviewed by "This Is Classical Guitar"